This picture is a throwback to when I was comfortable nursing in public… It’s already starting to feel weird, which doesn’t seem right to me. Parenting is filled with a lot of pesky questions. If you assume positive intent, most inquiries are well-meaning attempts at conversation. Still, when you start to get the same question over and over, it can begin to feel like societal pressure. Breast milk passes immunities from mother to child, in many cases shortening the duration of illnesses. Likewise, breast milk is easier for sick kids to keep down than solids or cow’s milk. Breast milk supplements the nutrition received from a toddler’s diet with good fats and vitamins, contributing to better overall health and higher intelligence levels. Breastfeeding supports a special bond between mother and child, creating quiet time for both and helping to ease emotional challenges, such as tantrums. For me, the need to be still for 10-15 minutes a few times a day is like being forced to meditate. Sometimes I fight it, but the end result is centering in a world that rarely stops moving. Premature weaning can be confusing and even traumatic for emotional toddlers who have depended on nursing for comfort, leading to more challenging behaviors as they struggle to establish other soothing methods, (although this obviously varies greatly by child). Extended breastfeeding has been shown to decrease multiple long-term health risks for mom, including breast cancer. I know there are additional arguments, but this list was reassuring enough for me. What I really don’t understand, is why nursing beyond one year is referred to as “extended” breastfeeding when the worldwide average is somewhere between two and four years with some cultures continuing even longer. The fact that this conversation continues to happen in the media and comment streams are filled with “disgusted” bystanders just goes to show how uncomfortable we still are as a society with such a basic, natural act. On the same token, however, I also get why breastfeeding past one (or even to one) is not for all moms. When I started to ask around in my mom groups, I found moms breastfeeding well into toddlerhood who still pump regularly at work. While I am impressed by their dedication, I am not sure I would be as eager to continue if regular pumping were part of my equation. Likewise, I have talked to moms whose babies self-weaned earlier than one year or who faced physical challenges in sustaining the relationship. Thankfully, many moms also shared positive stories of nursing well into the second and sometimes even the third year. 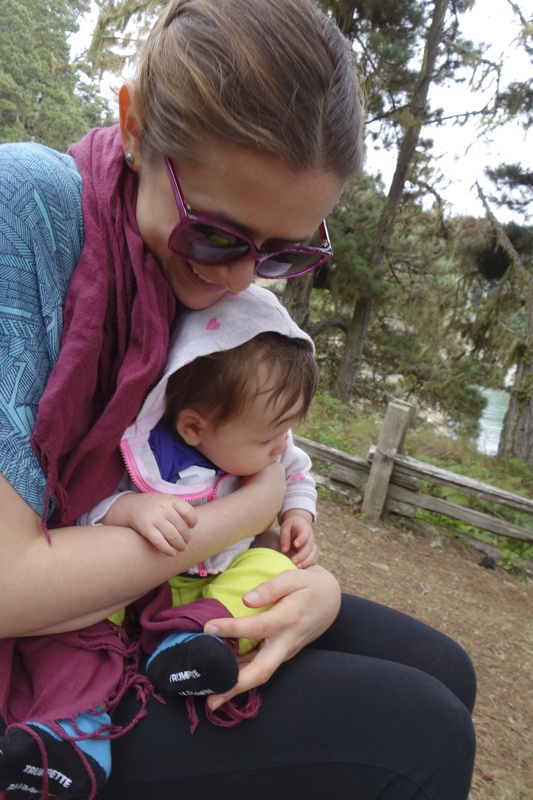 By talking about it, I hope to be one more voice in normalizing breastfeeding past 12 months. I used to think “extended” breastfeeding would be uncomfortable, (in a non-judgmental-but-weird-for-me kind of way). Now that I have my own little person, it does not feel strange at all, excluding perhaps the vibe I sometimes get from others around me. For now, it works and I feel lucky. Side note: While doing my homework, I enjoyed this interview on extended breastfeeding with Dr. Mayim Bialik, (oh to be so poised in the face of hostility! ).